﻿﻿ Joint Institute for Power and Nuclear Research – Sosny | Laboratory 5 "Radiation and chemical studies of the environment"
Laboratory 5 "Radiation and chemical studies of the environment"
The Laboratory was founded in 1986 by corresponding member of NAS of Belarus V. Nesterenko to develop nuclear-physical methods of diagnostics of the coolant fluids and the cores of nuclear reactors. Then research in the lab has been reoriented to develop methods of decontamination a radioactive waste. Heads of laboratories have been a corresponding member of the NAS of Belarus V. Nesterenko, then Ph.D. G. Petukhov, Ph.D. A. Gvozdev. Currently, the laboratory headed by Dr. M. Zhemzhurov. 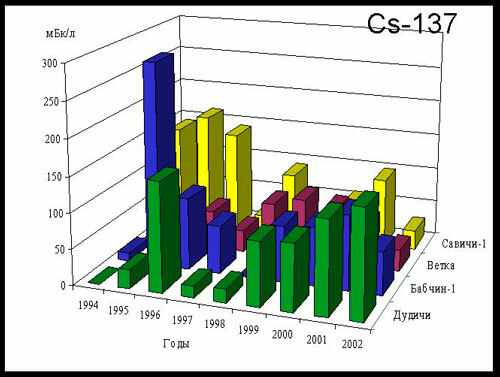 development of nuclear-physical methods of diagnostics of the nuclear reactor core. Laboratory is accredited by the Belarusian State Accreditation center for technical competence in accordance with the requirements of STB ISO / IEC 17025-2007 (accreditation certificate № BY/112 02.2.0.0464 to 07.05.2015) for measuring the specific activity of radionuclides in water samples, soil, vegetation, food, biological objects, sediment, construction materials, wood, measuring the exposure dose of photon radiation and the flux density of beta-particles of contaminated surfaces, measurements of volumetric activity of natural radon in the air of residential and industrial premises. The laboratory is licensed by the Department on problems of the consequences of the Chernobyl accident Ministry of Emergency of Belarus number 0480/0197213 to carry out activities related to the control of radioactive pollution. development of basic technologies and design solutions for the reconstruction of the national facility “Ecores” for radioactive waste disposal. 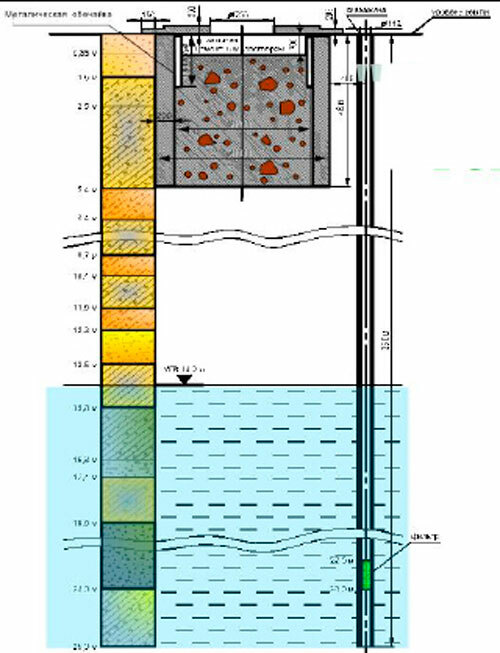 developed a conceptual design of a new national facility of radioactive waste disposal. 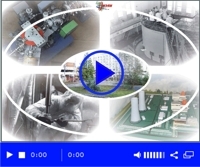 Based on analysis of the regulatory framework, conceptual approaches and design solutions for nuclear power plants on RWDP developed the basic requirements for RW processing system at the plant. 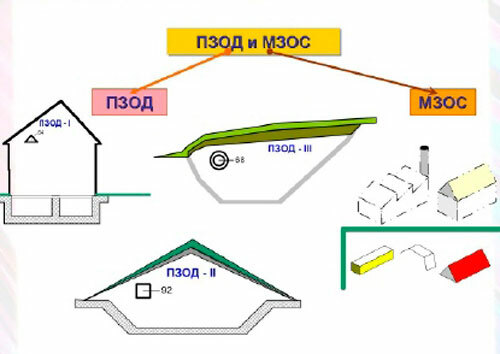 The fundamental technological scheme developed systems for radioactive waste management site and in the ACT, as well as the common principles of design decisions on these systems to enable work on nuclear waste management and open source software into a single process with the ultimate goal – the safe disposal of radioactive waste in the Republicof Belarus. A series of technical codes of practice in the field of radioactive waste. In cooperation with laboratory 03 developed a draft “Strategy for Radioactive Waste Management in the Republicof Belarus”. The results are a scientific basis for developing national policies for radioactive waste management, creating a state regulatory framework. They are used by MOE, the Ministry of Energy, Ministry of Health, Ministry of Environment, planning organizations. 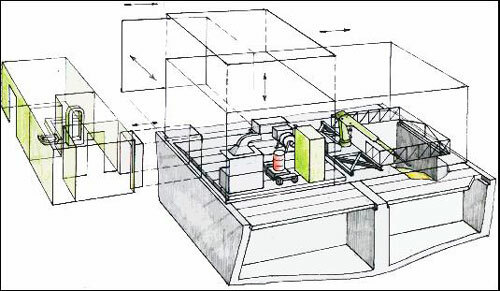 It is planned to develop methods for radiation-technological control of nuclear fuel in process of reloading of the reactor, based on measuring spectrum of characteristic gamma radiation of irradiated nuclear fuel. Measuring system, based on simulation, will be proposed for determining the degree of combustion of fuel and control fuel cladding integrity during recovery (transfer) of fuel assemblies from the reactor core. 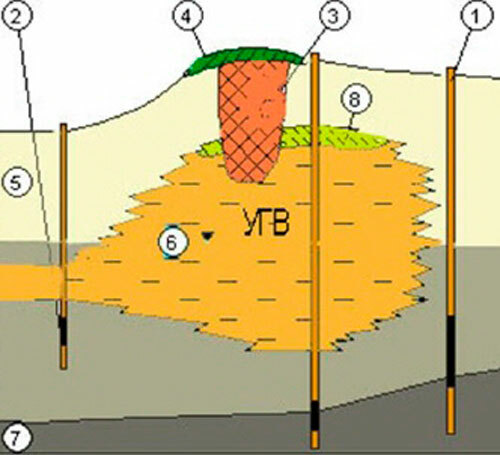 It is planned to use methods of sensitivity increasing, reliability of control tightness cladding (CLC) and the localization of defective fuel rods in the core, which are developed at laboratory, at Belarusian nuclear power plant.